The suit of games, consisting on over 30 slots and video bingos games of the highest quality, will be enjoyed by the users of casino 1xBet. Carlos Fernández, Head of Business Development of Red Rake Gaming, commented on the deal, "We are very pleased to have reached an agreement with 1xBet. Our primary goal is to create the best casino games and to make them available to the maximum number of players. 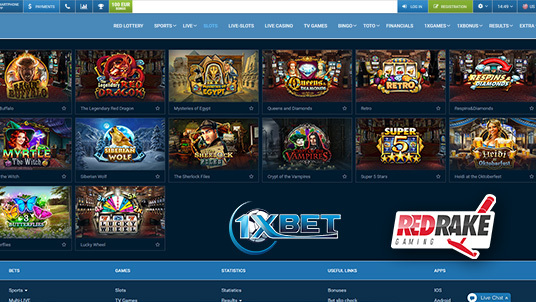 1xBet is a fast growing operator and we’re sure their users are going to love our games"
Christian Wood, an account manager at 1xBet, said: "We are happy to offer Red Rake slots to our players. I am sure it will be a fruitful long-term cooperation".